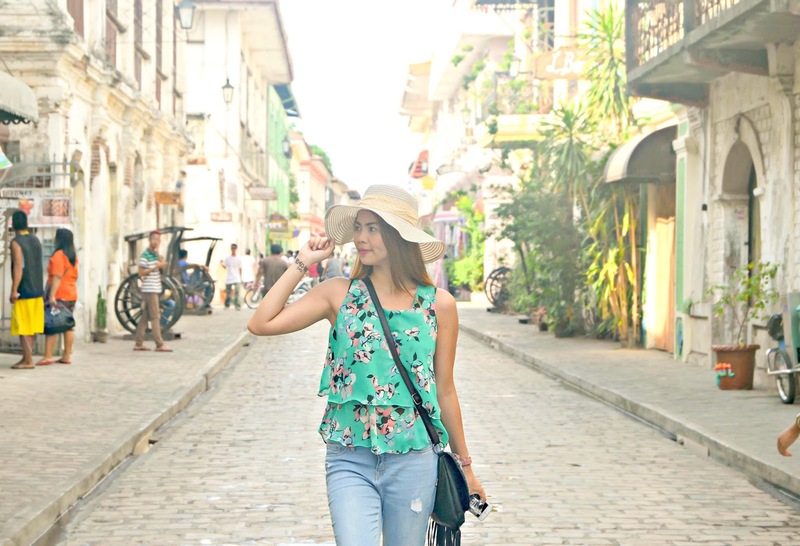 The Bandwagon Chic: WHAT I WORE IN VIGAN CITY? That's was a lot of fun and excitement when I visited the historical place. Nothing beats the feeling of knowing your ancestors achievement being recognized around the world. When I'm traveling, I make sure that I am comfy to what I wear. As an adventure seeker, I tend to do extreme activities some times. 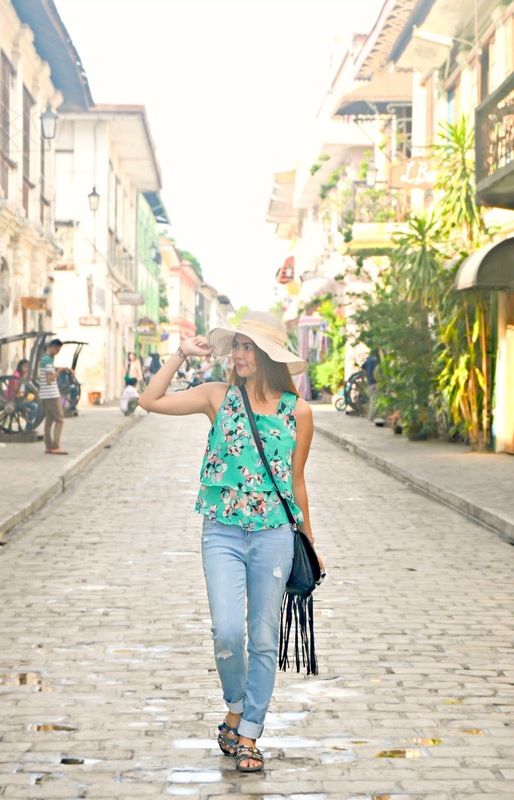 So when I travel to Vigan City, I wore comfy outfit to make sure that I can move around. * Wear comfy jeans or loose pants when you will walk through your travel. 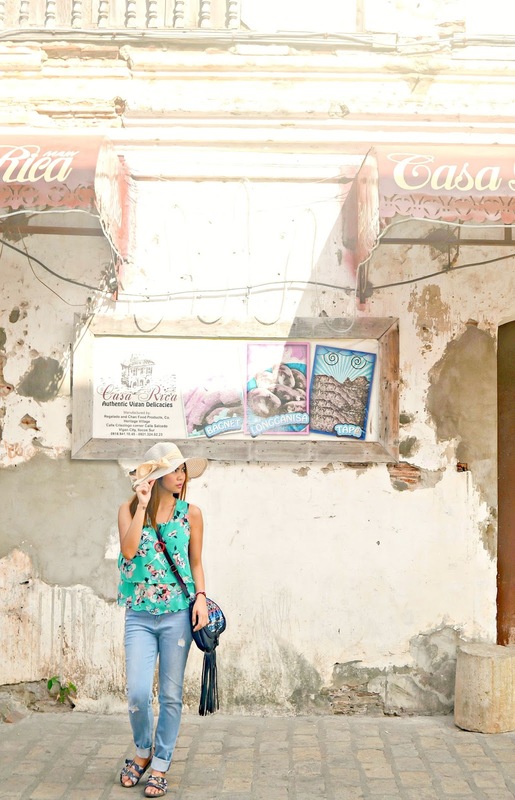 - As the weather in Vigan is quite hot, I tend to wear comfortable jeans so I can run, walk and sit anywhere. Leggings and jeggings are a big no-no because it will make your legs more tired at the end of the day that result to swollen veins. * Bring small size bag that is handy and can fit all your necessities like cellphone, power bank, makeup, purse, etc. along your journey. * Wear slippers or shoes that are comfy and easy to walk through. (This tip is recommended for walking only) Not unless you are going to trek a mountain-- trekking shoes would be suitable. * Light comfy top or dress - Due to the hot weather, I opt to wear a chiffon top as I feel easy to move and comfy walking around without worrying if I get sweat a lot. * Wear hat and sunglasses when going out in the sun to cover up and protect our skin from harmful UV rays. * Don't forget to put sunscreen too and drink a lot of water. * Wear minimal accessories during the trip so you can move around and less hassle. Would you like to share some of your travel tips?